Which book or source has mentioned Ginny Weasley's name as “Ginevra Weasley”? Wikipedia doesn't have a citation for this name. Is this correct name? If yes, what's the source? Arthur Weasley was one of three brothers. 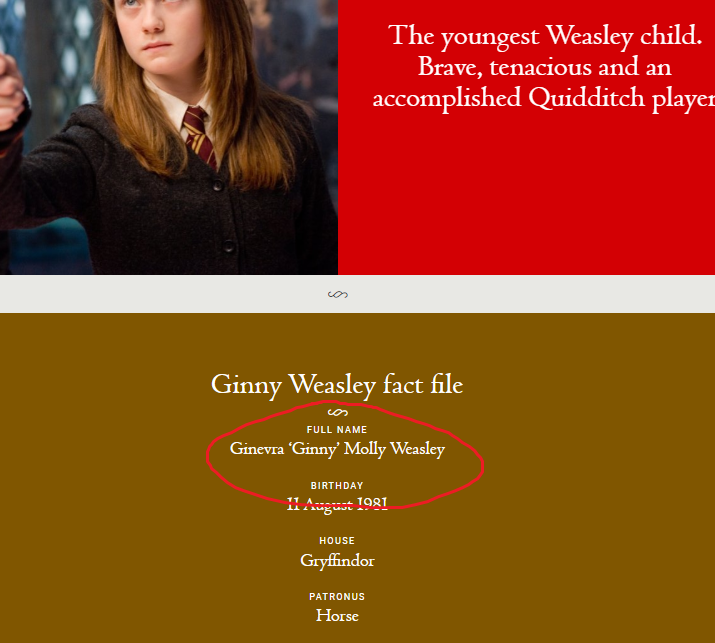 Ginny (full name Ginevra, not Virginia), is the first girl to be born into the Weasley clan for several generations. JK Rowling replies -> My pleasure:) Middle names: Ginny is Molly, of course, Hermione 'Jane' and Ron, poor boy, is Bilius. In the very last book, Ginny is called Ginevra for the only time in the series, by her Auntie Muriel. Her real first name isn't mentioned at all throughout the rest of the Harry Potter books. Why didn't Molly Weasley remember the platform number? How was Molly Weasley powerful enough to Kill Bellatrix Lestrange?